Minister Suresh Rana did dine at a Dalit home in Aligarh, but brought his own food, mineral water and cutlery, according to the family. 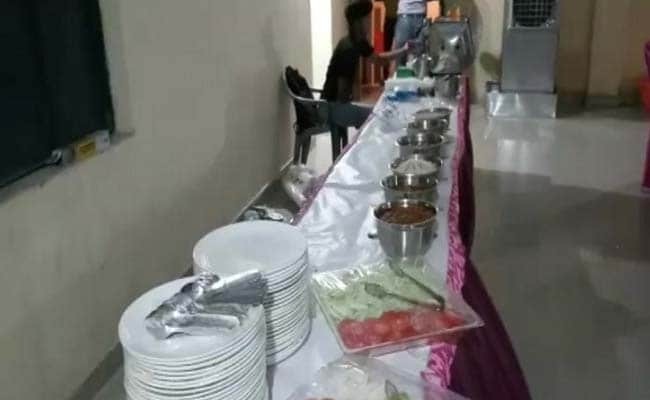 An Uttar Pradesh minister's outreach, featuring a meal with a Dalit family as part of a larger BJP campaign, appears to have backfired spectacularly with photos of a catered feast emerging online. Minister Suresh Rana did dine at a Dalit home, but brought his own food, mineral water and cutlery, according to the family. The feast was beyond anything the family would have imagined for dinner -- it included palak paneer, chhole, dal makhni, pulao, tandoori roti and gulab jamun, complete with salad and raita. "'I didn't even know they are coming for dinner, they came suddenly. All food, water and cutlery they had arranged from outside," Rajnish Kumar, the Dalit man who "hosted" the minister, told news agency ANI. He was surprised to see the minister and his aides trooping into his house around 11 pm. As the local administration went through elaborate lengths to make sure the minister's efforts were was a success, a double bed and coolers were arranged for the minister's stay at a community centre. The minister has strongly denied slumming it in style and has claimed he ordered food only because there were many with him. "It isn't about food. Thousands were there. People are troubled by Yogi and PM's work. The village is a Dalit, I ate food collectively prepared by them... I had breakfast with them in the morning," Mr Rana told new agency ANI. Earlier this month, the ruling BJP had asked its lawmakers, including ministers at the centre and states, to spend at least a night in villages where there are 50 per cent or more Dalits -- one of its most important campaigns in a year of elections and at a time Dalit groups have targeted the party accusing it of not doing enough to counter a court order they say dilutes the law for their protection from discrimination. 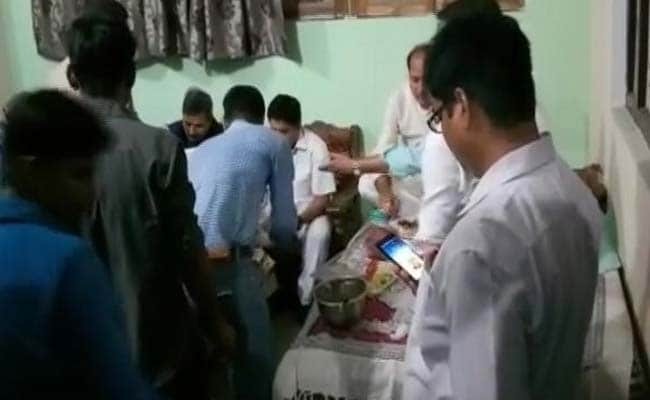 Last year, soon after the BJP took charge in UP, Chief Minister Yogi Adityanath's visits to a soldier's home became controversial when it was reported that an AC was installed and a carpet, a saffron sofa and saffron towels were sent to the house before his arrival. Later people belonging to the Musahar community, which is among the poorest in the state, alleged they were given soap and shampoo by the local administration ahead of a visit by the chief minister.